This protocol can be viewed as a resource for bishops responding to specific cases. 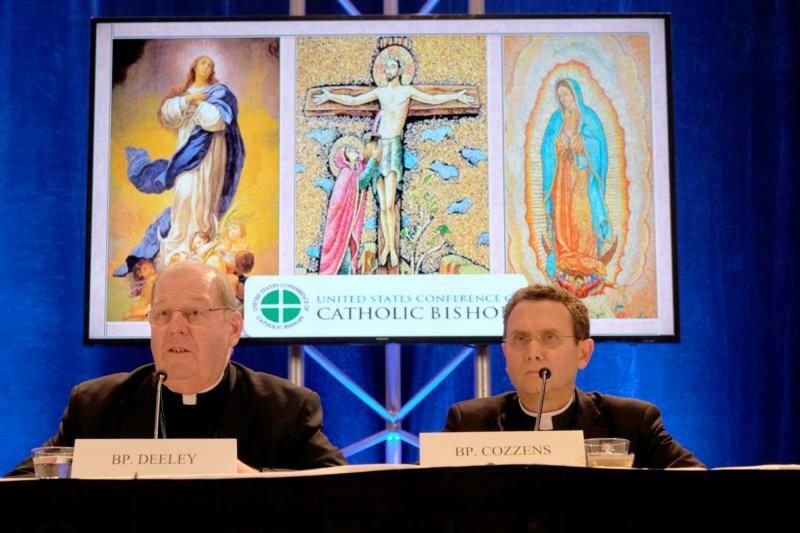 It does not offer new penalties or impose an obligation on bishops, said Bishop Robert P. Deeley of Portland, Maine, who is chairman of the the U.S. Conference of Catholic Bishops’ Committee on Canonical Affairs and Church Governance. “Only the Holy Father can remove a bishop from office,” he said Nov. 13, stressing that the protocols were meant as guidelines pointing out the disciplinary actions that could be taken as part of canon law. The document presented to the bishops explains what exactly a resigned bishop, referred to as “bishop emeritus,” cannot do. — The bishop emeritus can be denied the ability to witness marriages and the public celebration of other sacraments or rites in the church. — The diocesan bishop may adjust the benefits given to a bishop emeritus such as not funding travel or secretarial assistance. — Participation in the USCCB plenary sessions would be determined by USCCB president, in consultation with the Administrative Committee. No vote was to be taken on this protocol since the Vatican Congregation for Bishops asked the USCCB to delay any formal action approving the hand-in-hand protocols pending further review of their compliance with canon law and the pending meeting of presidents of bishops’ conferences around the world in Rome in February. There was only a brief discussion about the document from the floor Nov. 14. The only bishop who commented was Bishop Bernard A. Hebda of St. Paul and Minneapolis, who pointed out that diocesan bishops don’t always know the reasons a bishop emeritus resigned, and they need some way to resolve this, maybe from a lay commission or national board.